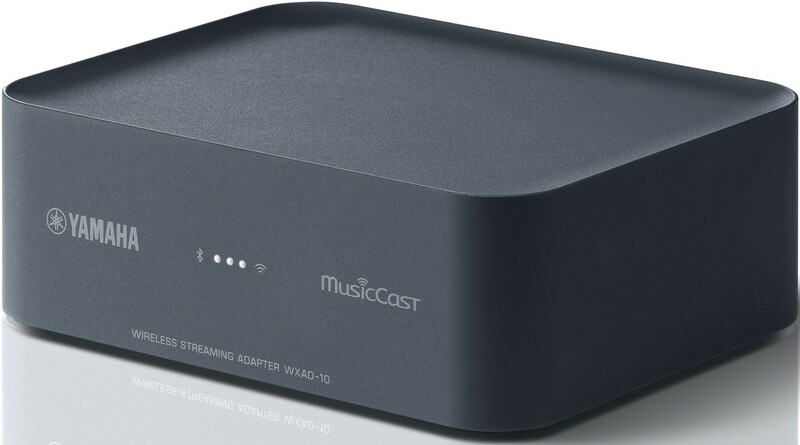 This wireless streaming adapter connects to your current audio system adding MusicCast wireless music playback, Bluetooth and Airplay. 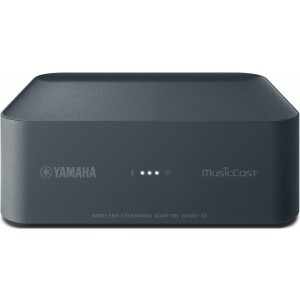 Yamaha WXAD-10 ADD MusicCast Wireless Adapter is compatible with Yamaha’s wireless music system so you can add audio components to the world of MusicCast and infinitely expand your music listening possibilities. 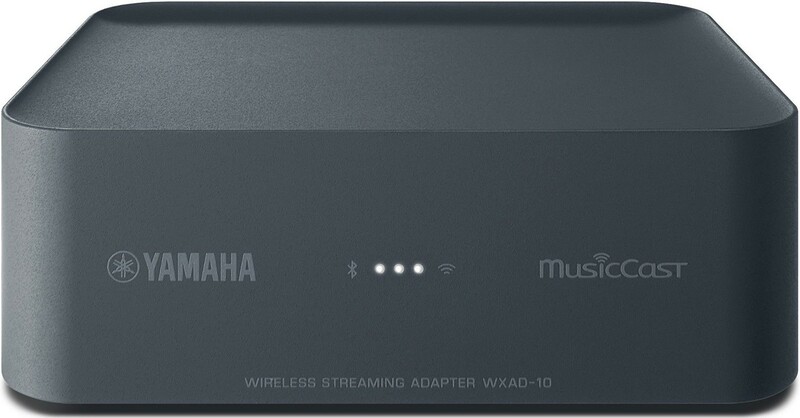 WXAD-10 has high-performance wireless network capabilities that let you stream digital music content from your smartphone or tablet, as well as music libraries from PC or network storage, plus a variety of online streaming services and Internet radio. Plus, with the MusicCast features, you can share music with MusicCast-enabled devices in other rooms of your home. A new revolution in network audio, you can use all your MusicCast products together or separately. The dedicated MusicCast controller app lets you use your smartphone or tablet to easily and conveniently select songs and streaming services, control volume and more. You can also use the app on your smartphone to remotely control all your MusicCast-compatible devices in other rooms. Equipped with RCA and stereo mini output terminals, the WXAD-10 can be connected to a wide range of audio products whatever components you currently have. Use it with a shelf stereo system, Hi-Fi component, home theatre system, or even a soundbar. WXAD-10 supports a wide range of high-resolution formats, including WAV, FLAC and AIFF in 192kHz/24-bit resolution as well as ALAC in 96kHz/24-bit resolution. The unit employs a special circuitry design that optimises the signal path and uses high-quality parts and technologies including the renowned Burr-Brown DAC, original PML condensers and Yamaha’s original technology combining network modules to achieve jitter reduction. The resulting careful reproduction of high-resolution sound sources lets you hear every subtle ambience and delicate expressive nuance. 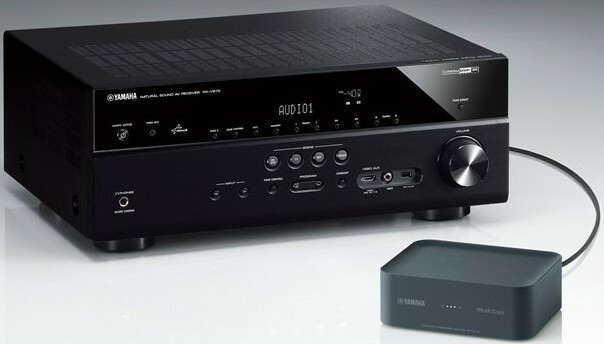 The key device that determines the sound quality of network audio is the Yamaha Original Network Module, which contains a high precision low-jitter clock that improves the reproduction of high-resolution sound sources. Pure audio clock generation without an added jitter constituent caused by the clock generator sharply lowers the creation of jitter noise in playing network and Bluetooth sources and achieves further S/N improvement. Featuring a matte finish, like that of fine ceramics with gentle indentations in the top surface, the WXAD-10 is designed to match any decor and radiate a quiet presence. The simple, unassuming appearance fits nicely and naturally alongside virtually any audio component. 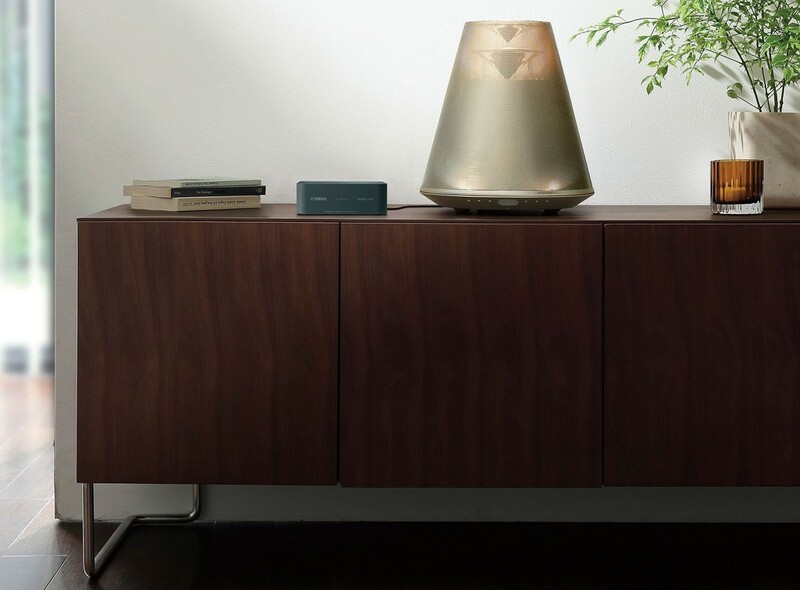 By connecting the WXAD-10, Yamaha's famed Clavinova digital piano will be reborn as a network streaming speaker. You can play smartphone sound sources wirelessly and listen to various streaming services easily from your Clavinova. 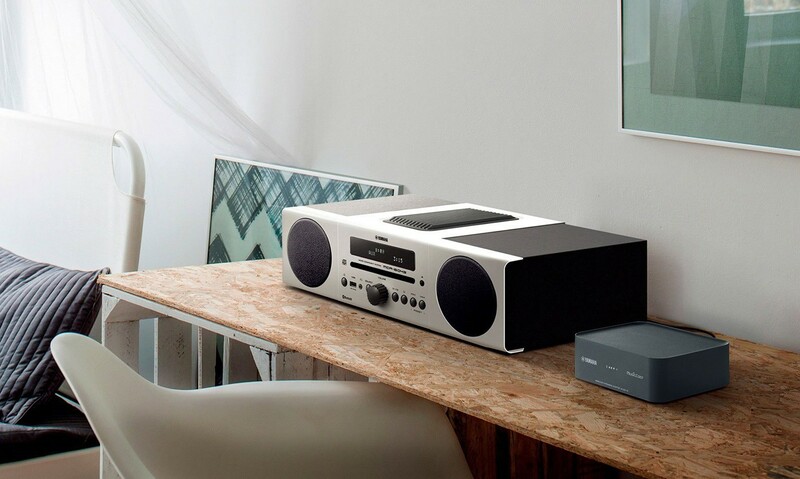 Yamaha's unique wireless music system MusicCast allows you to enjoy background music freely throughout your house in any room. I bought one of these so I could listen to my fave BBC iPlayer Radio shows over my HiFi. The only other Bluetooth enabled HiFi kit I can compare it to is the naim mu-so they have where I used to work and this, attached to my Audiolab 8000S, is at least its equal. Buy one, you won't be sorry.